PHOTO: A SWISS Airbus A330 flies over the Alps. 100+ illustrated travel features about Switzerland and Austria, arranged by category. 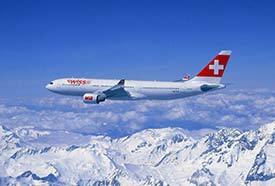 Photo copyright © Swiss International Air Lines.